Are you stuck at this stage to find out which one is best for your need? Well, you are not alone as I have also been once confused between Bluehost vs. HostGator for my website hosting? In this comparison of HostGator with Bluehost, I will highlight those points which will help you make the right decision for picking one of them. Today, I will be talking about BlueHost Vs HostGator, as both of these hosting companies are one of the best hosting for WordPress and certainly they do create confusion for newbie users. I will compare both the host and give you my opinion on which you should prefer. Both of these hosting companies are running under parent company EIG and offer top notch resource for hosting their Websites. Bluehost, which is termed as specialised hosting for WordPress, whereas Hostgator supports WordPress and many another platform. There are many differences between these two and both have their pros and cons. 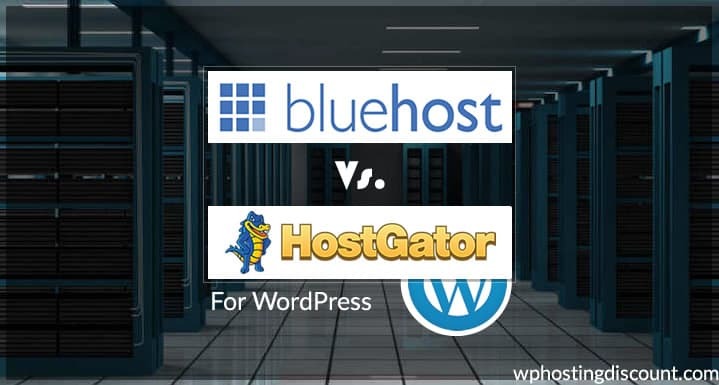 Let’s find out, which is a better host for WordPress: Hostgator or Bluehost. The major difference between Hostgator & Bluehost is in their package offering. As I mentioned above, Bluehost is considered as specialised WordPress shared hosting and offers three shared hosting package to meet your needs. Hostgator also offers three different shared hosting package and also offer VPS, dedicated and reseller hosting. Apart from Hostgator Hatchling plan, which allows only one domain hosting, both of them offer the same resources. Bluehost and Hostgator offers unlimited bandwidth, unlimited storage, unlimited FTP account and SSH access. I have used both the hosting and never has issues with any of them. There shared hosting servers are top notch and you can see the CPU usage and other server details from their dashboard. Both comes with standard cPanel. How is HostGator Customer service? HostGator gets an edge here as HostGator customer support is top notch where as I will rate Bluehost customer support as an average. Hostgator offers various ways to get any issue solved, like Live chat, over the phone and at times via Social networking. HostGator pays extra effort on customer support and in most of the cases, you will get an instant reply from them regarding your issues. At pick hours, you might have to wait for 30-45 minutes on live chat to talk to tech support guy and this is irritating at time. Though, by the end you will get the resolution to your problem. BlueHost misses out on telephonic support, rest ticketing system and live chat support options are there. 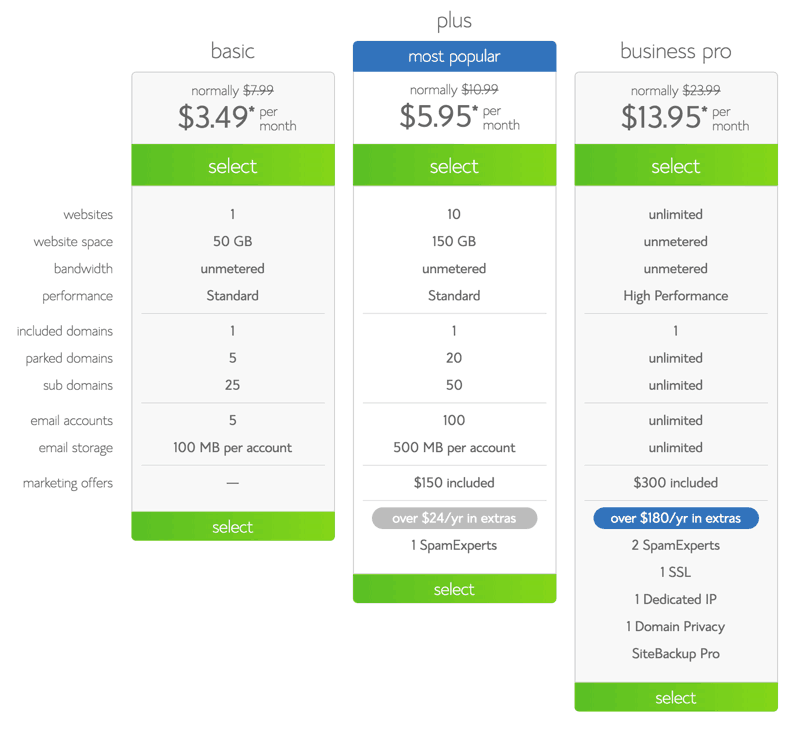 The major difference between Hostgator Vs Bluehost comes into the pricing. Even with the same resources and services, Hostgator is priced higher than Bluehost. Hostgator offers various shared hosting plan and charges according to plan you select. Their minimum package starts at $3.96 but it limits you for hosting only one website. The best shared hosting plan is Baby, which starts at $7.96/month. Bluehost offers three different plans, and price varies based on tenure of signup & package which you choose. I would recommend you to buy Plus package for three years, to save maximum on Bluehost hosting. The link given below is a special BlueHost link, which will get you a great discount. This is one of the toughest comparisons between two hosting company, as both of them offer similar services and resources for WordPress blog hosting. Though BlueHost is officially recommeded as an idle hosting for WordPress sites, and this gives them an extra edge over Hostgator. Hostgator customer support is better than Bluehost, which is one point where BlueHost lacks. By the end, I would prefer Bluehost over Hostgator for hosting your WordPress site, since they are not only reasonable with the price, but their server is more optimized for WordPress blogs. Feel free to share your views on Bluehost Vs. Hostgator. Which one do you prefer and why? 1.3 How is HostGator Customer service? 1.4 What plans HostGator offers?